The project consisted of renovating the den, master suite and powder room of this traditional home for a young family of four. The home had beautiful windows and vast views of Mt. Diablo but the interior was uninspiring. 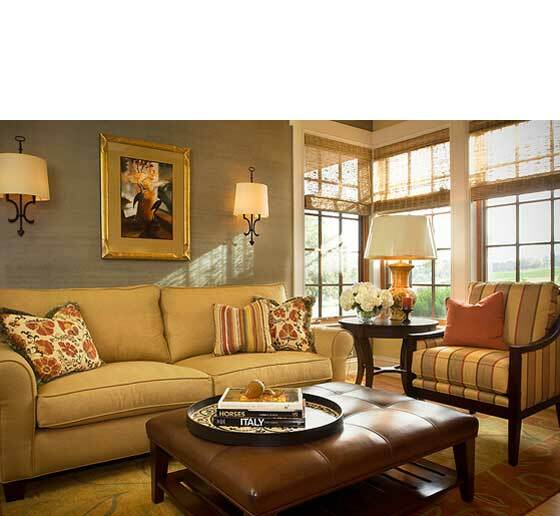 To reflect the client's love of the Italian countryside and nature we infused the rooms with layers of warm colors, decorative wall treatments and hand crafted iron light fixtures. Architectural details such as wood beamed ceilings, an antique limestone fireplace and bronze plasterwork added richness creating a more unique and refined interior.